The Waterberg Park is part of the Central Namibia Plateau, and is situated 280 km north of the capital, Windhoek. The mountain get its name from many small springs on its lower slopes. 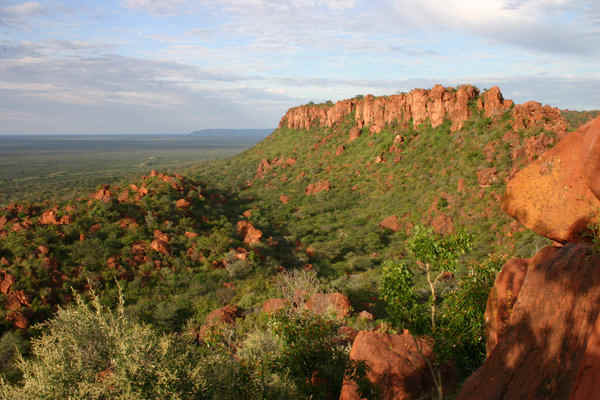 The thick green vegetation the Waterberg is sharp contrasts with the surrounding Acacia-bush savannahs and plains. The plateau is one of Namibia's the most fascinating geological sites, with unique sights such as dinosaur tracks, and fossilized ancient dunes. One of the motivations for the establishment of the park, was to protect and breed endangered wildlife species (white and black rhinoceros, sable and roan antelope and Cape buffalo). It is also not rare to come across leopards, African wild dogs and cheetahs if going on the game drives on offer by the Park Rangers. The plateau soars more than 200 meters above the surrounding plains, with a width of between 8 and 16 km, and a length of about 49 km from south-west to north-east. The plateau average between 1650 and 1700 meters above sea level. 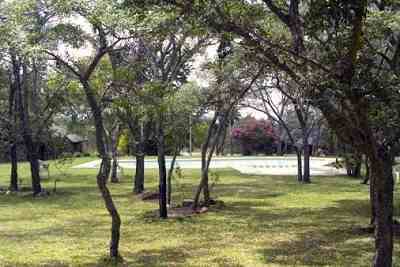 The Waterberg Plateau Park has various accommodation available in the form of chalets, family units and campsites. 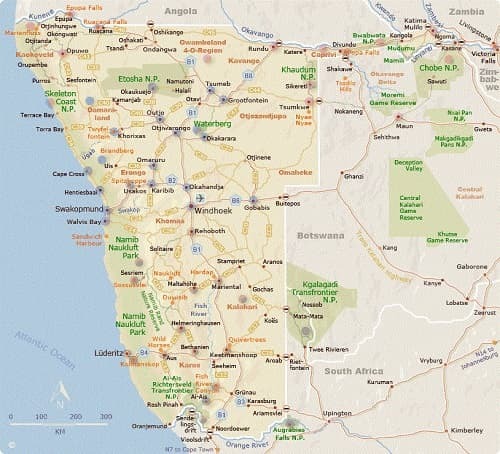 The facilities is managed by Namibia Wildlife Resorts, and of high standard. There is a beautiful swimming pool, small kiosk, bar and restaurant area for guests. 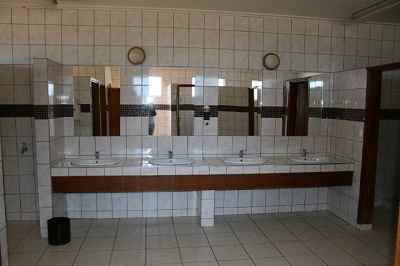 The camping site has very good and clean communal bathroom facilities, with good shading. Various hiking trails along, and to the top of the mountain could be done, and various game drives are available to guests, to see some of the rare wildlife species on the mountain. If you stay at the Park, keep your food locked away, room windows and car closed, as there are a few local baboon troops around and in the camp. The smallest antelope in Namibia; the Damara Dik-Dik is often seen between the chalets.